Maybe sometimes I just don’t want to wash a lot of dishes or wipe up a bunch of splatters on the stove. For those nights I want simplicity, I love one pot suppers. Good ones are hard to find. 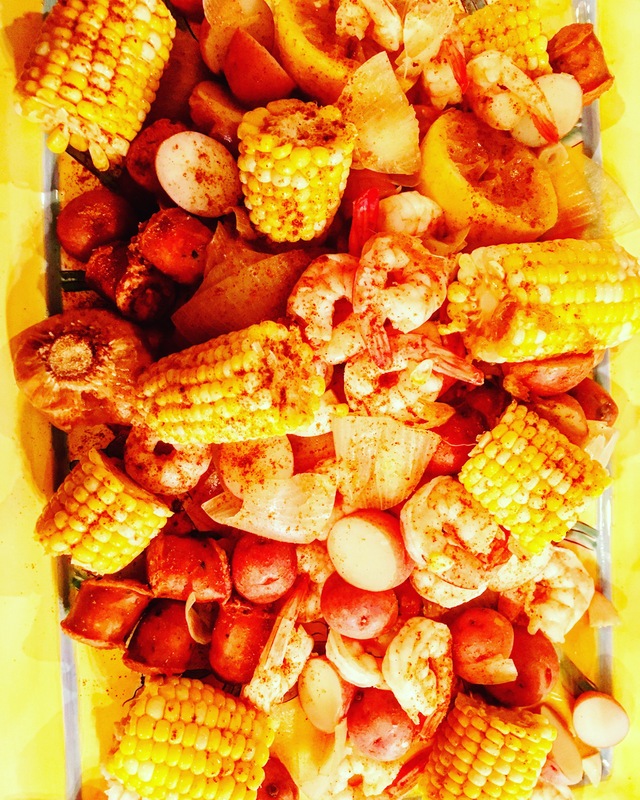 Years ago we visited a friend’s parents in the south and they made us a simple Low Country Boil. Since it’s May Bee I didn’t do any research on what a “real” Low Country Boil entails. I found this recipe in Real Simple Magazine and it sounded just like what we had all those years ago. I made it last night and it was really good! A little spicy for the 12 year old but she still enjoyed it. Give it a try, maybe. Click here for the recipe. Doesn’t it look delicious!? That yellow platter really makes everything look yellow. Weird. Maybe this blogging every day thing will be a breeze!